Step onto a cruise ship, and the first thing that you likely notice is how luxurious — and big — cruise ships really are. From grand promenades like something you’d see in a Las Vegas hotel to ships that measure 20 decks and more than 1,000 feet long, it’s obvious that cruise lines spend a lot of money building the vessels. In fact, some of these newest ships cost more than $1 billion to build. Of course, cruise lines wouldn’t spend that much money if they didn’t know they could earn it all back… plus a tidy profit. And with thousands of people on a ship, each trip made by the ship brings in hundreds of thousands — and even millions of dollars — in revenue. But have you ever wondered just how much the cruise lines are really making each day? With dozens of cruise ships holding tens of thousands of people, the numbers have to be astounding. Meanwhile, how much are individual cruise ships making for every day that they sail? Given that we’ve covered how much cruise lines make from each passenger in the past, we decided to see just how much cruise lines and the biggest cruise ships make each day they operate. Major cruise lines are publicly traded companies, with stock on the major exchanges. As such, they are required to file regular financial results. We took a look at the latest yearly results for three major cruise lines: Carnival, Royal Caribbean, and Norwegian to dive into exactly how much money they make. Before we get too far, you should know that these calculations represent “back of the envelope” math. Today’s cruise lines are highly complex organizations with a number of different assets. For example, Carnival Corporation actually encompasses a number of different lines, including Carnival, Princess, Holland America, and more. Meanwhile, financial reports usually don’t break down figures based solely on individual cruise lines. Therefore, we have to look at the company as a whole to get an idea of what it earns from each cruise line. 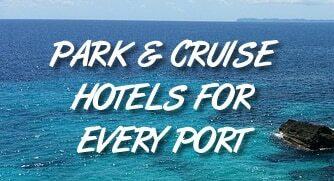 As the largest cruise line in the world, Carnival Corporation is famous for the Carnival brand, but also features other lines including the aforementioned Princess and Holland America, and AIDA, Seabourn and others. All told, Carnival Corp. brought in a staggering $18.9 billion in revenue across all of its lines for the 2018 fiscal year. Divided by 365 days, that comes out to $51,728,767 in revenue earned each day. How much of that turns into profit? The cruise line had a total profit of $3.15 billion last year. Divided by the days in a year, that comes out to a daily profit of $8,635,616. 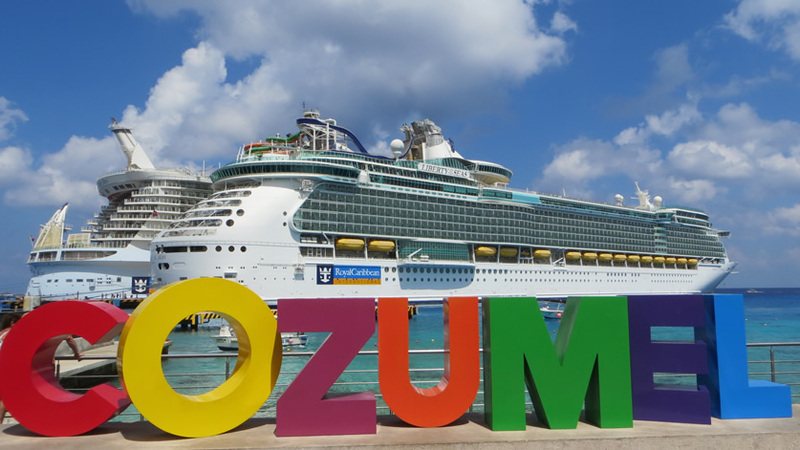 Royal Caribbean is famous for the largest cruise ships on the planet, but did you know it is also the parent company of Celebrity Cruises, Azamara Club Cruises, and Silversea Cruises? It also has joint partnerships in TUI and Pullmantur. In total, the cruise line operates nearly 60 ships that cover the world. As you might expect, all those ships bring in a lot of money. In the past year, Royal Caribbean saw revenue of $9.5 billion from its business. That’s a total of $26,010,545 divided out for each day of the year. Royal Caribbean is also highly profitable. With 2018 profits of $1.82 billion, the cruise company earned a profit of $4,974,773 per day across its fleet. Norwegian Cruise Lines has made waves recently with the introduction of its largest ships, including Norwegian Bliss, Norwegian Joy, and the upcoming Norwegian Encore. However, it also operates cruises under the Oceania and Regent brands. While Norwegian is the smallest of the “big three” cruise lines, it still brings in a healthy amount of money. Last year saw revenue of $6.1 billion, or $16,589,386 each day. As for profits, the company had a bottom line of $954.8 million — or $2,616,008 per day. While it’s interesting to see how much cruise lines are making per day, the numbers are so large that they can be difficult to wrap your head around. What is more approachable is how much the cruise lines make from their individual ships. Again, before we get too far, you should understand this is a “back of the envelope” calculation. Cruise lines don’t break down their revenue or profit from individual ships. Specific trips will earn more or less, so these figures are just an estimate. To calculate how much a ship makes, we first calculated how many people sail on each ship. Cruise lines report an occupancy rate for the entire cruise line. This figure is usually between 105-108%, indicating that all rooms have at least two guests on average, and some also have a third. From there, we multiplied the number of guests by the revenue per passenger a ship makes each day. Revenue per passenger is calculated by dividing total revenue earned by the number of passenger cruise days during the year. For example, if a ship holds 4,000 passengers and sails on a three day cruise, that’s 12,000 passenger cruise days. Carnival Horizon represents Carnival’s newest and largest ship in its fleet. First launched in 2018, the ship is homeported in Miami. It has 3,960 berths, but in 2018 Carnival saw an occupancy rate of 106.9%. Using these figures, we can estimate that the typical cruise on this ship has 4,233 passengers. Meanwhile, given that Carnival brought in revenue $18.9 billion across its fleet and had 89.7 million “passenger days” on its ships, we can estimate the cruise line earned $211 per person, per day. With 4,223 passengers spending an average of $211 per day, that would mean the Carnival Horizon earns an estimated $891,053 each day. Symphony of the Seas is Royal Caribbean’s newest ship and the largest in the world. All told the ship carries 5,518 passengers at double occupancy. But according to its financial reports, Royal Caribbean sees occupancy levels of 108.9%. So the estimated number of passengers in our calculation would actually be 6,009. With revenue of $9.5 billion and 41.85 million passenger days on its ship, that means Royal Caribbean brings in an average of $227 per person each day on its ships. In total, 6,009 passengers times $227 each gives a total estimated revenue of $1,364,043 each day aboard the Symphony of the Seas. Launched in 2018, Norwegian Bliss made headlines not only due to its size (nearly 1,100 feet) but also its features. Notably, the ship offers a go-kart track at sea; one of the most unique features ever seen. All told, the Norwegian Bliss has room for 4,004 guests, assuming double occupancy. However, like other cruise lines Norwegian sails above 100% capacity. In 2018, the occupancy figure was 107.6%. If Norwegian Bliss sails at this level, it means 4,308 passengers on the ship. According to financial reports, Norwegian brought in just under $6.1 billion last year with 20.3 million passenger days. Quick division shows that the cruise line earned $299 per person, per day in 2018. With 4,308 passengers on the Norwegian Bliss bringing in $299 per day, that would mean revenue of $1,288,092 for each day. Are these numbers higher or lower than you thought? Do they surprise you? Let us know in the comments below.